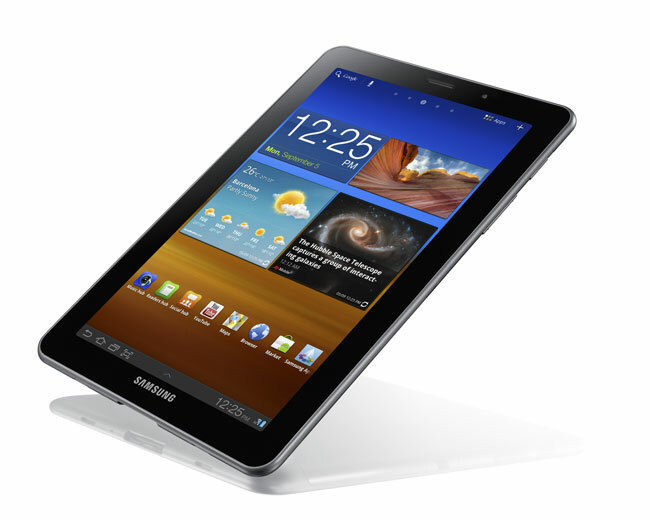 As well as announcing the new Samsung Galaxy Note at this years IFA in Berlin Samsung has also announced their next generation Galaxy Tab tablet, the Samsung Galaxy Tab 7.7. 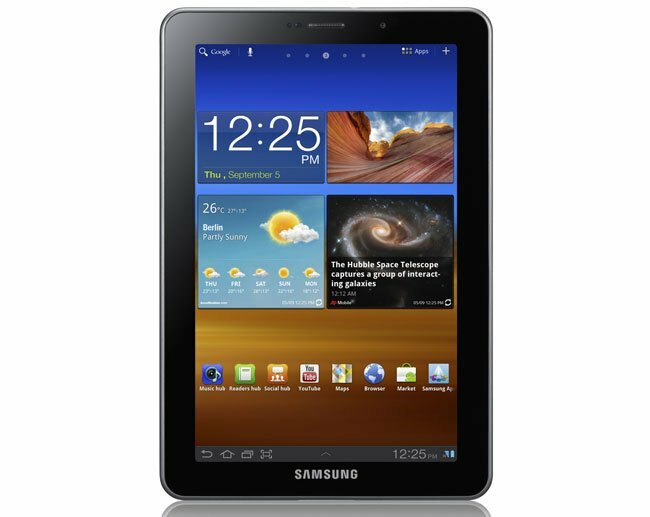 The Samsung Galaxy Tab 7.7 features a 7.7 inch Duper AMOLED Plus display with a resolution of 1280 x 800 pixels, processing is provided by a dual core 1.4GHz processor and it also come with 1GB of Ram and a choice of either 16GB, 32GB or 64GB of built in storage, there is also HSPA+ connectivity. 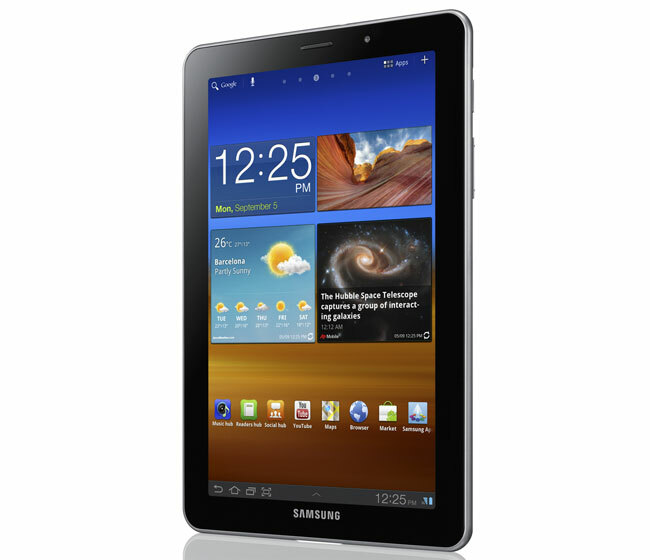 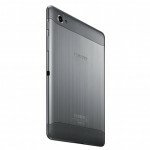 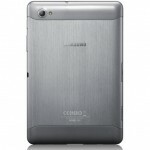 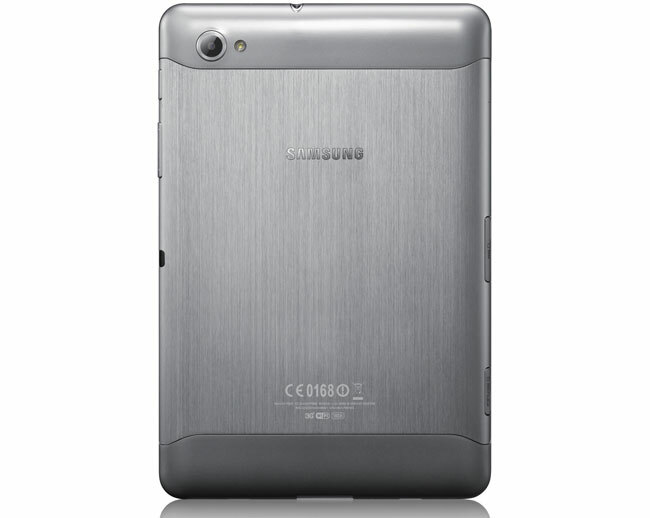 The Samsung Galaxy Tab 7.7 also features a microSD card slot which can take up to 32GB microSD cards, plus 802.11 a/b/g/n WiFi, Bluetooth 3.0, A-GPS and a three megapixel camera on the back with an LED flash and auto-focus, up front there is a 2 megapixel fixed focus camera for video chat. 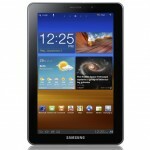 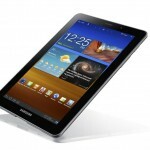 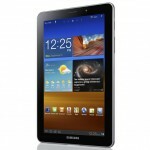 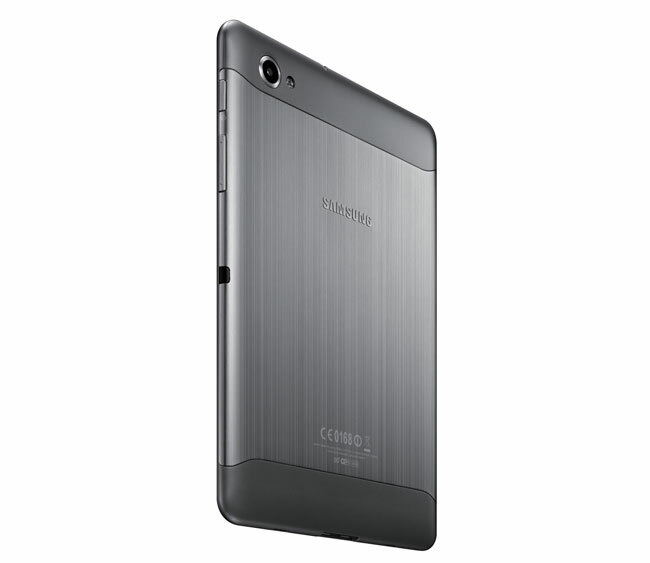 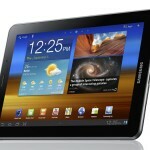 The Samsung Galaxy Tab 7.7 comes with the latest version of Google’s Android OS, Android 3.2 Honeycomb, plus a 5,100 mAh battery which Samsung says will give you up to 10 hours of video playback time. 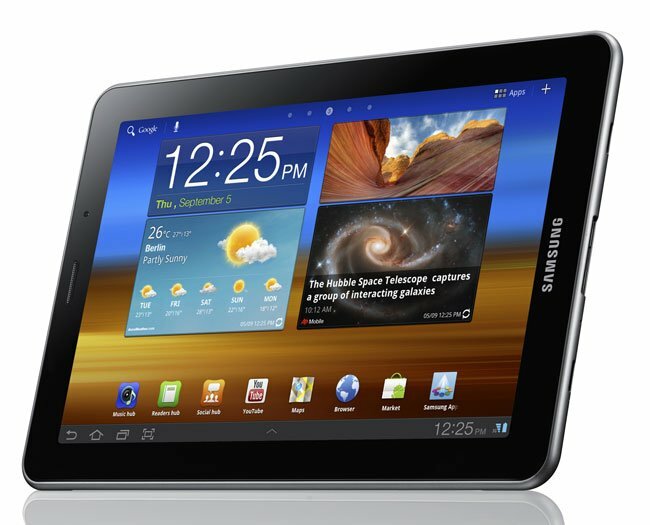 There are no details on pricing as yet, hopefully Samsung will price it similar to the original Galaxy Tab, with these specifications they could end up having another successful tablet on their hands.